We are an independently, family owned wood flooring company who are dedicated to providing high quality flooring products and installation services along with the highest level of customer service. We employ a team of highly skilled flooring installation specialists so you can be sure to get a high quality finish no matter which flooring you choose. Our impressive showroom in Cranage is home to a variety of samples for you to come along and view in person and Rob or Paul will be on hand to advise you and answer any questions you may have. Our showroom is open from Monday to Sunday 9.30am-5.00pm (By appointment only on Saturday or Sunday). Bruntwood has over 145 properties across the UK. We provide affordable office space, serviced offices and retail space available on flexible contracts. Stuart Rushton & Company was formed in 1998 and have offices in Knutsford, which serve the whole of the North Cheshire and South Manchester region. In the last 17 years the firm has gained an enviable reputation for selling and letting a wide variety of interesting and beautiful homes, and we have a large portfolio of homes available from apartments and terraced cottages to large town and country houses and small private Estates. Growing, protecting and preserving wealth Chartered financial planners based in Warrington, dedicated to helping business owners, individuals and financial advisers to plan for their financial future. Thomas Hardie Commercials Ltd is the main distributor for Volvo Truck, Bus & Coach in the North West of England & North Wales. We operate five dealer points that are committed to providing our customers with a total business solution for their transport needs by the provision of high standards of sales, service, parts and many other added value services. 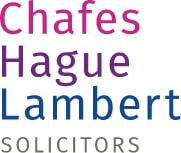 Chafes Hague Lambert are a team of expert solicitors based in Wilmslow, New Mills, Alderley Edge, Knutsford, Macclesfield & Urmston. New and Approved Land Rover Guy Salmon Land Rover. 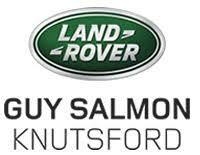 The official Land Rover dealer in Knutsford. A & M Marquees/Events Ltd. offer a quality range of marquee services. Co-ordinating all aspects of the event including site inspections, marquee erection, flooring, lighting, tables and chairs. We specialise in all occasions including Weddings, Parties, Corporate Events, Country shows, Exhibitions/Fairs, Concerts and Balls. There’s no such thing as bad weather, just the wrong clothing. Rohan is your constant companion for every journey, whatever the journey.